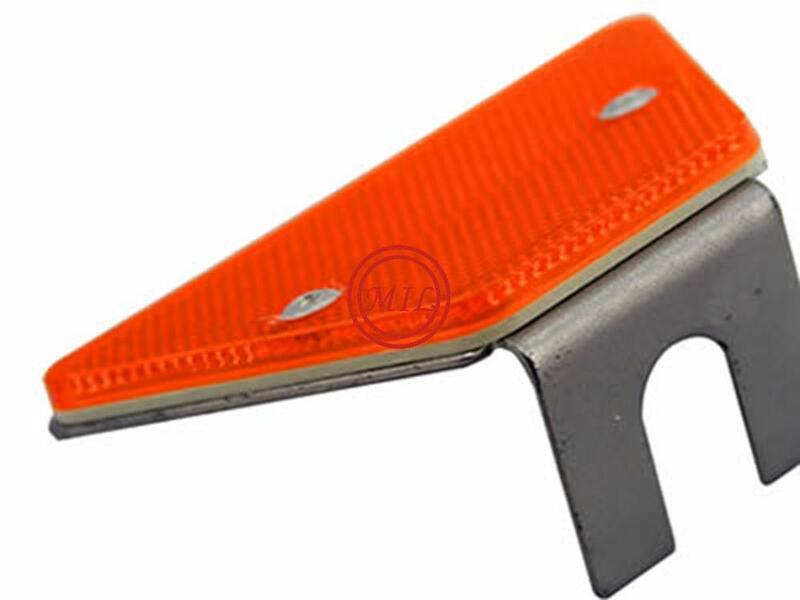 (1) double barrier plate: 4320 mm in length, width of 310 mm, 85 mm deep, thickness of 3 mm / 4 mm. 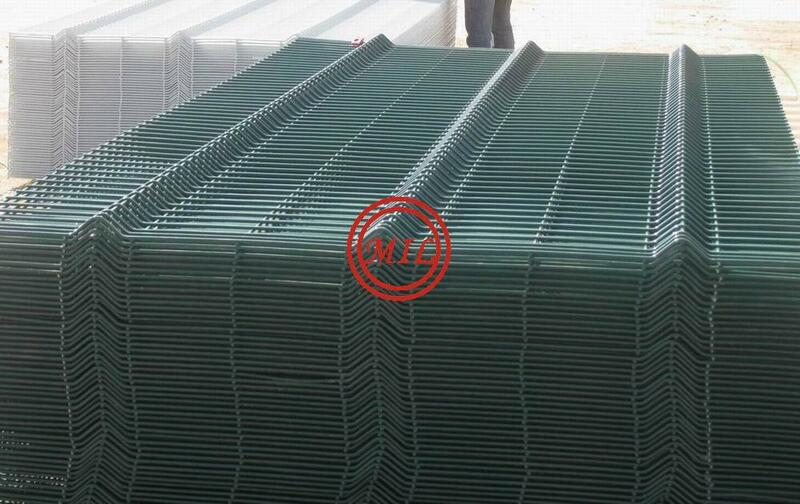 Three guardrail plate: a length of 4320 mm, width 506 mm, 85 mm deep, thickness of 4 mm. (2) round columns: 140/114 mm in diameter, column wall thickness of 4/4.5 mm. Fang Lizhu: length 130 mm, pillar thickness 6 mm. 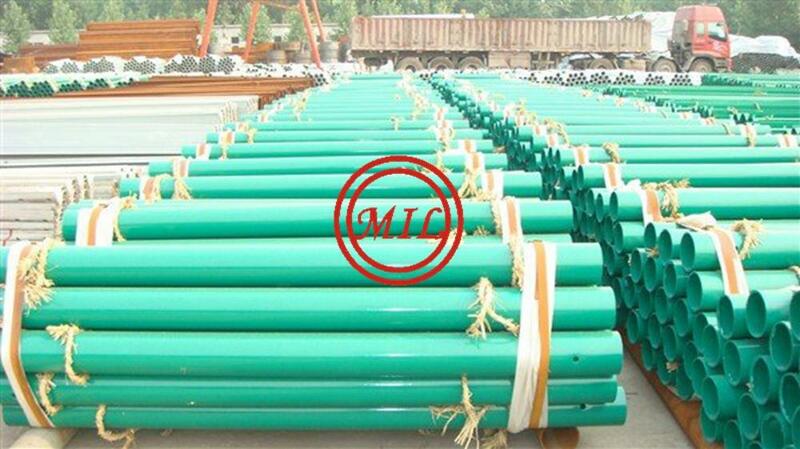 Column length is 1200 mm / 1500 mm / 1800 mm / 2150 mm, etc. 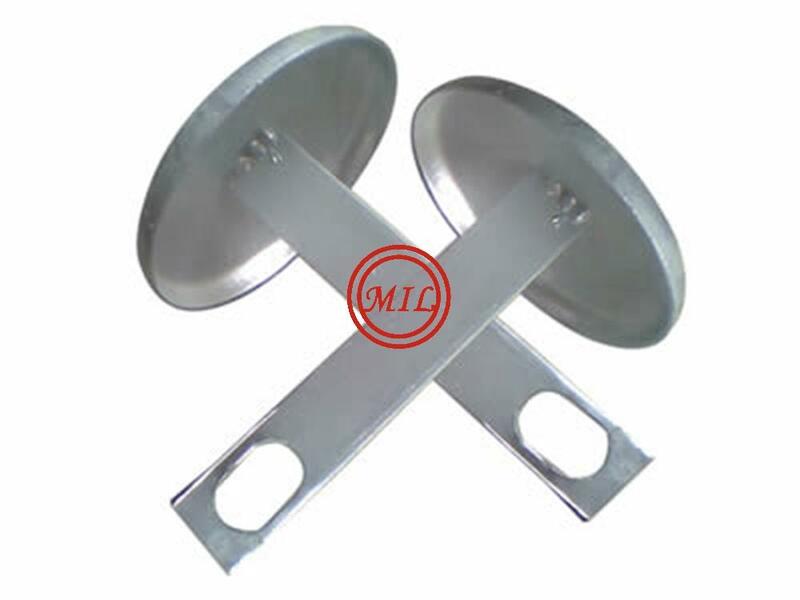 (3) column cap: two-thirds of mm thickness, hole is apart from the 100/150 mm, 114/140 mm in diameter. (4) prevention blocks: 196 * 178 * 200 mm, thickness points 3/4/4. 25/4.5 mm. Bracket: length 300 mm, 70 mm wide, 4 mm / 4.5 mm thickness. 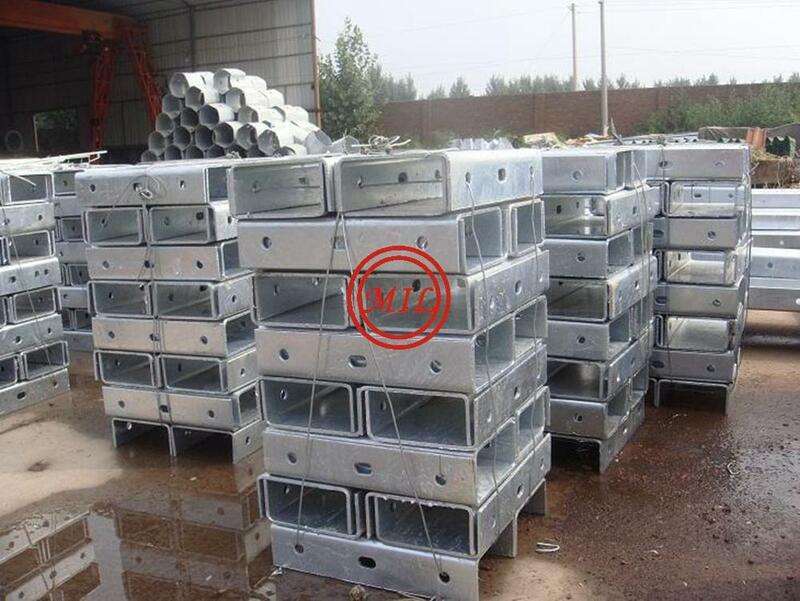 1, pillar installation must be on the dirt road shoulder reinforcement can only be carried out under the premise of the construction, and set in the culvert structure, channel, and long-span Bridges, in the process of main project installation guardrail plate, the pillar of the installation should first deal with flange and anchor bolt. 2, construction preparation and construction organization in detail. Installation tools are: the pile driver, excavation, ramming tools, pliers, hammer, theodolite, level, tape measurement tools, etc. 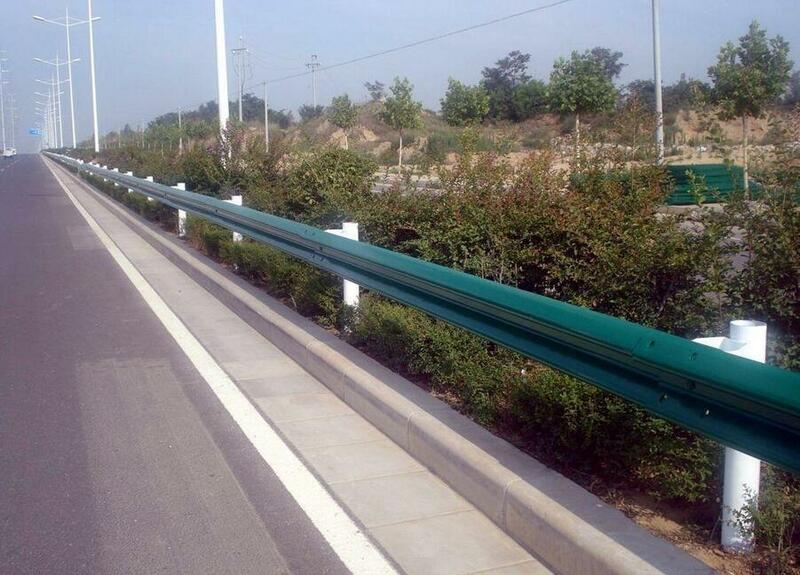 3, waveform guardrail construction, should accurately grasp the various facilities, especially the embedding various piping in embankment precise location, in the process of construction, are not allowed to cause any damage to the underground facilities. 1, according to the drawings to lofting of pillar, and to interchange, Bridges, channels, culverts, and as the locus of control, such as range positioning. As for the lowest range when the unit. 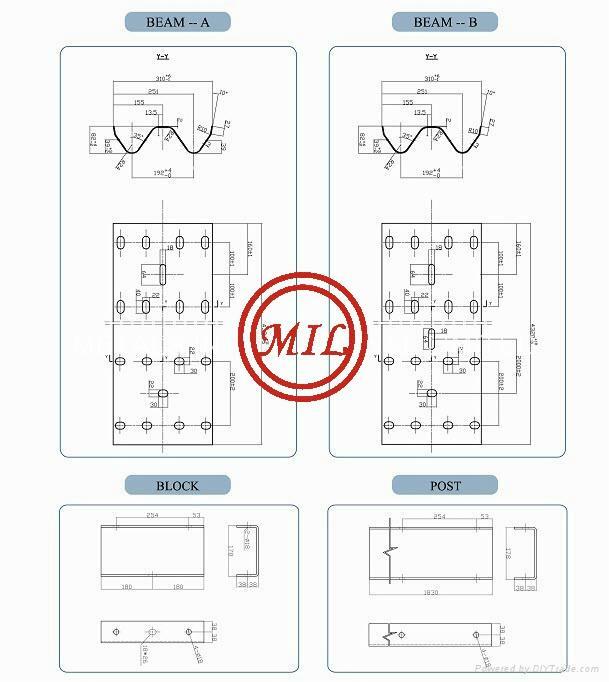 2, pillar lofting available adjustment period of adjusting the spacing, and use the methods of distributing the spacing fraction number processing. 1, post installation should be consistent with the design, and coordinated with road alignment. 2, column should be deeply buried in the grave, reach the design depth, vertical and pavement. 3, general road, column can be used in construction, the construction should be accurate positioning, when into the deep, pillar parts must not be pulled out to correct, must pull out all its, after waiting for foundation compaction in scored again. 4, and cannot be used in construction, can be used drilling construction technology, bridge structures are filling height can not meet the requirement of the columns, into the depth of concrete foundation fixed method is taken. After 5, pillar in place, the horizontal and vertical direction should form a smooth line. 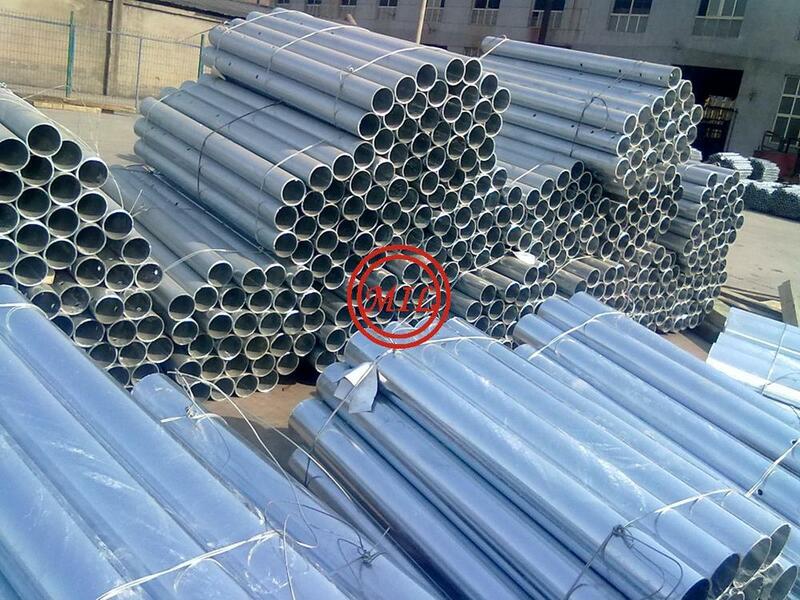 6, guardrail and the end of the column, the gradual coordinates for installation shall be stipulated in the design. 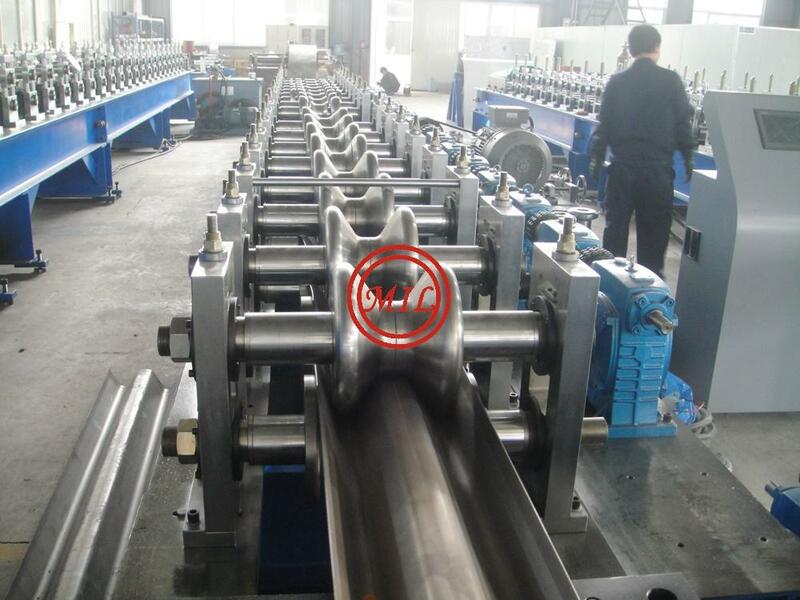 7, 7 because of two phases is used for the road construction, the tailgate design drawings in accordance with the column hole when installation, installation in one, the second phase of construction order respectively and raise the waveform guardrail plate height. 1, waveform guardrail board through mutual splice bolts joining together, and the connecting bolt is fixed on the column and beam. 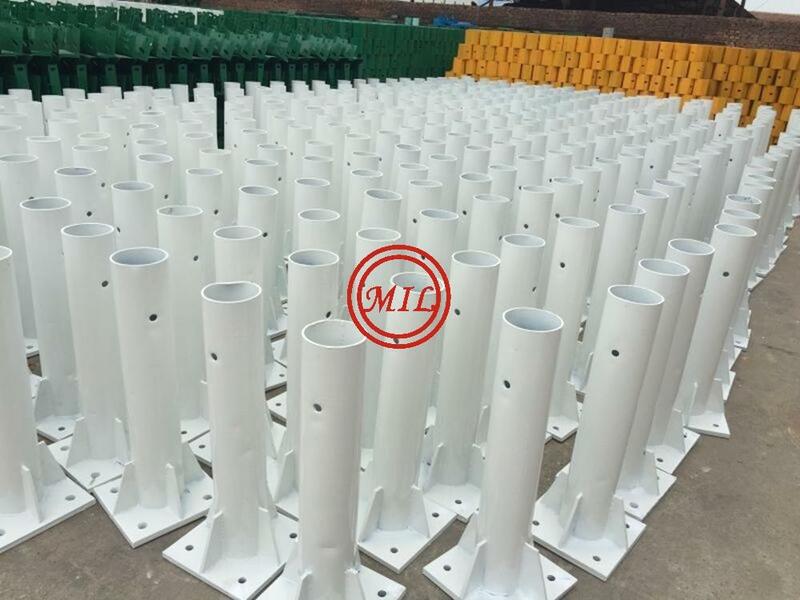 2, waveform guardrail board connection bolt and splicing bolts should not be early to tighten, so that during the installation process and structure were adjusted timely by means of using the wave beam slotted hole, make them form a smooth line, avoid local bump. 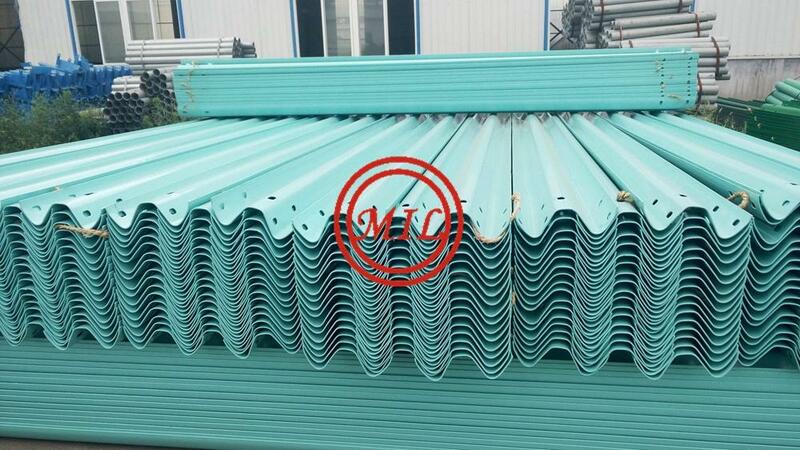 3, waveform guardrail plate top surface should be coordinated with road vertical curve. When the line shape of the waveform guardrail think satisfied, before the last screw down the bolt. Highway guardrails are considered as passive protectors with a view to ensure the safety of the pedestrians by the wayside and the vehicles. Highway guardrails are designed in pursuance to the principle of keeping the vehicle inside the road in a secure way and at the same time minimizing the loss of life and property in case of an accident. Our company carries out the manufacturing of every type of highway guardrails in compliance with the specifications of the Directorate General for Highways. • It makes the road visible. • It prevents the pedestrians and the animals from entering the road. • It ensures the safety of the drivers and the passengers by hindering the vehicles going off the road. Those are the highway guardrails that are designed mostly for heavy duty vehicles. Therefore, the erection material used is thicker and the tracks are wider and more durable. It is composed of wire ropes, which are hooked in terms of 3 strips installed through the steel piles to ensure road safety especially in the bridges and undergrounds. Due to the elasticity of the system, vehicles that hit the wire line highway guardrails and those inside the vehicle injured lesser than expected. 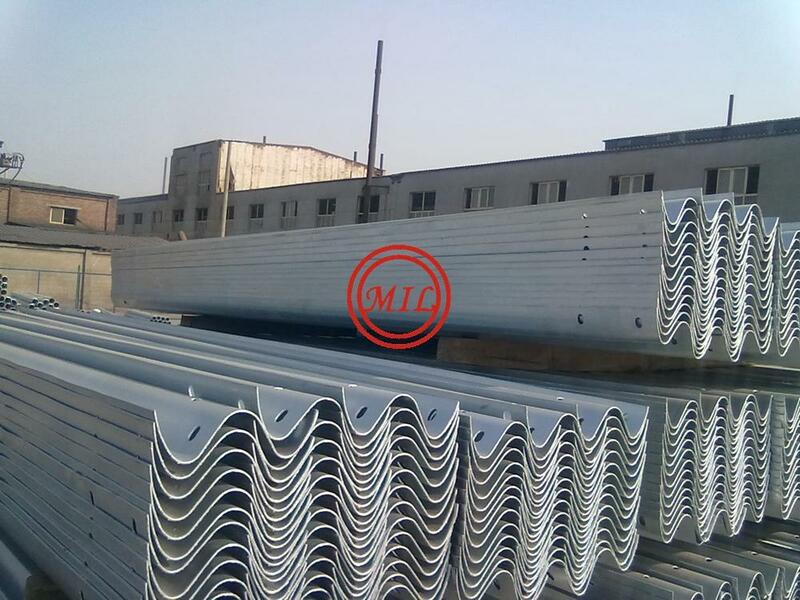 The highway guardrail is used to mounting alongside the road,highway to protect vehicles when crash happened.it is through cold forming processing and hot dip galvanizing for corrosion protection. 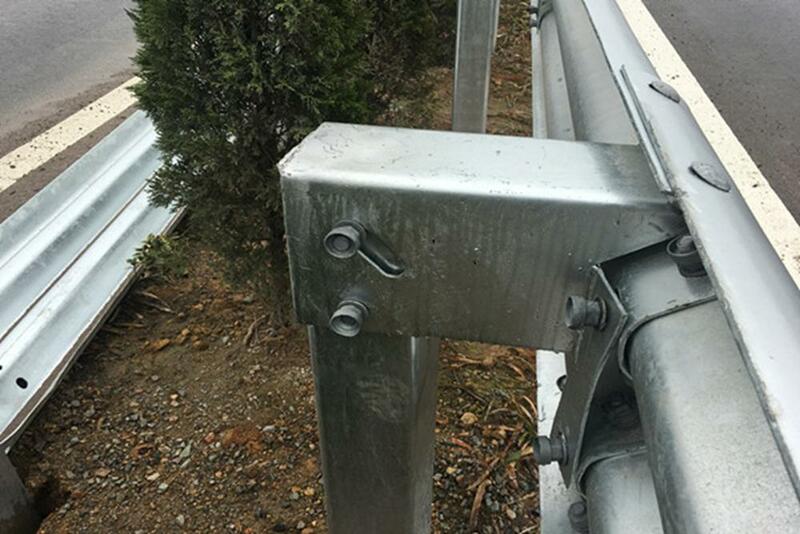 all are according to international standards.highway guardrail is used to mounting alongside the road,highway to protect vehicles when crash happened.it is through cold forming processing and hot dip galvanizing for corrosion protection. 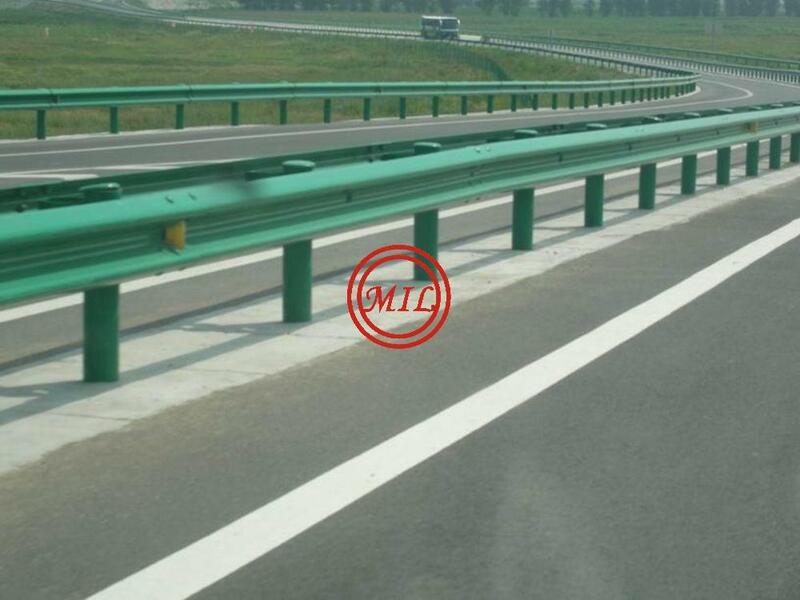 all are according to international standards.highway guardrail is used to mounting alongside the road,highway to protect vehicles when crash happened.it is through cold forming processing and hot dip galvanizing for corrosion protection. 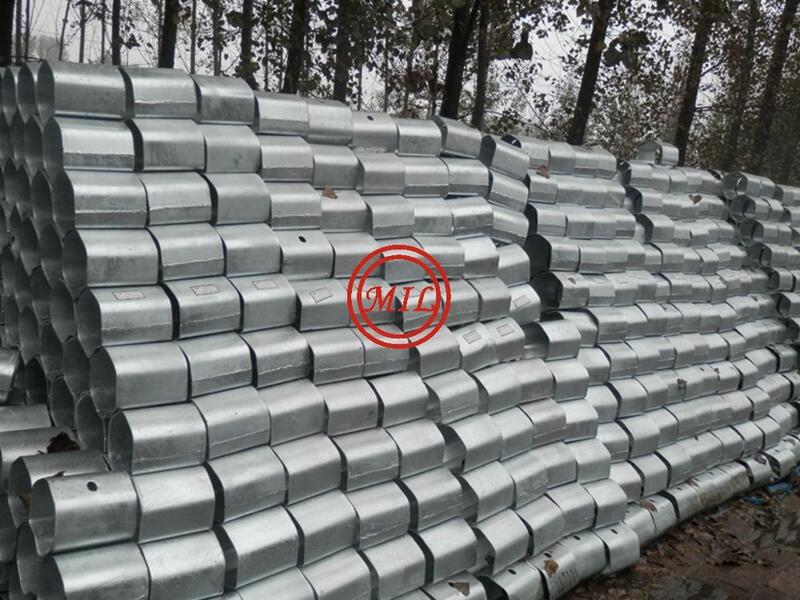 all are according to international standards.highway guardrail is used to mounting alongside the road,highway to protect vehicles when crash happened.it is through cold forming processing and hot dip galvanizing for corrosion protection. 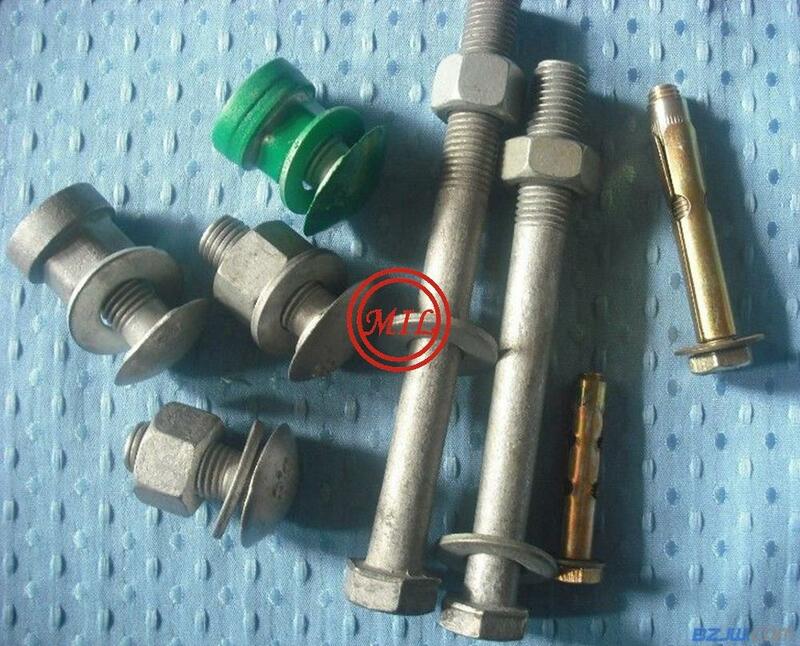 all are according to international standards.highway guardrail is used to mounting alongside the road,highway to protect vehicles when crash happened.it is through cold forming processing and hot dip galvanizing for corrosion protection. 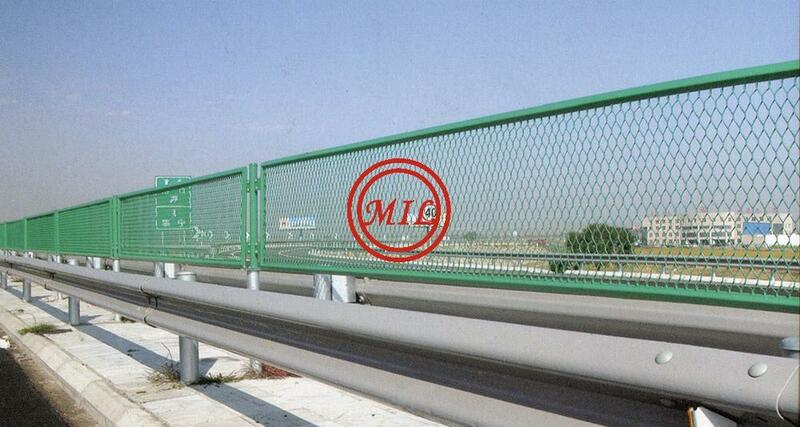 all are according to international standards.highway guardrail is used to mounting alongside the road,highway to protect vehicles when crash happened.it is through cold forming processing and hot dip galvanizing for corrosion protection. all are according to international standards.highway guardrail is used to mounting alongside the road,highway to protect vehicles when crash happened.it is through cold forming processing and hot dip galvanizing for corrosion protection. all are according to international standards.highway guardrail is used to mounting alongside the road,highway to protect vehicles when crash happened.it is through cold forming processing and hot dip galvanizing for corrosion protection. all are according to international standards.highway guardrail is used to mounting alongside the road,highway to protect vehicles when crash happened.it is through cold forming processing and hot dip galvanizing for corrosion protection. all are according to international standards.highway guardrail is used to mounting alongside the road,highway to protect vehicles when crash happened.it is through cold forming processing and hot dip galvanizing for corrosion protection. 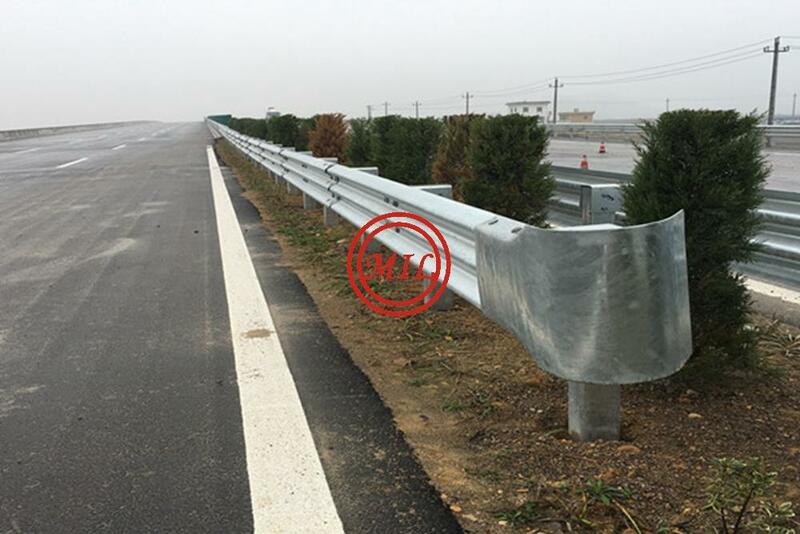 all are according to international standards.highway guardrail is used to mounting alongside the road,highway to protect vehicles when crash happened.it is through cold forming processing and hot dip galvanizing for corrosion protection. all are according to international standards.